The VHEC's collection of artefacts offers educators a rich resource for engaging students with primary sources of historical evidence. Innovative tools have been incorporated into the Collections website to allow students to work with digitized museum works directly from the classroom. The VHEC has developed a worksheet designed to promote inquiry, inference and reflection using the online catalogue as a resource for students as they work with primary sources. Students may choose from a variety of artefacts and artworks and guiding questions in the VHEC worksheets will assist the student to place the primary source in historical context and make inferences to deepen their understanding of historic events. Additional worksheets for analyzing documents, photographs and autobiographical texts are found under Researchers and Educators. Artefacts in the VHEC's Museum collection are described individually in catalogue records along with photographs of the artefacts from multiple perspectives. These records make it possible for students to independently investigate the creation, provenance, appearance, use and history of any object in the museum collection. 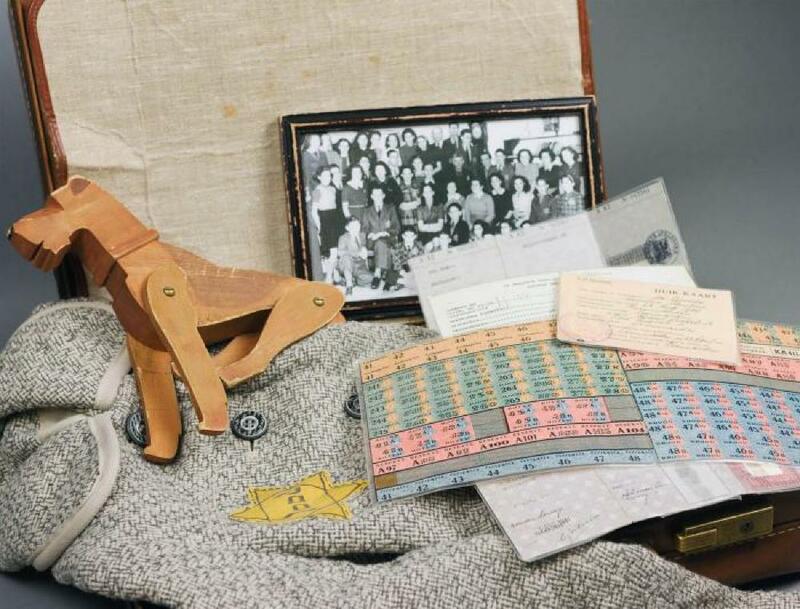 Through such inquiry, students can place the artefacts in their historical context and discover for themselves how each object relates to a unique Holocaust story. The individual record for each artefact in the online catalogue contains links to other items in the collection with the same subject matter ("access points"). The individual record also contains links to "related holdings" by place, historic event, people and organizations. Exploring links to related items gives students the opportunity to compare how different sources of historic evidence speak to common themes, historic events, people or places. Users can browse the Museum collection and filter results by subject, resource type, creation date, person, place, genre and others to explore artefacts relevant to their topic of study. This feature allows students to engage with primary source materials according to their distinct interests and learning contexts. Creating an Interactive Timeline with Lightbox: Items in a Lightbox can be viewed on an interactive timeline based on their creation date. The timeline function is accessed within a Lightbox collection by clicking on the clock icon at the top right corner of the screen. Users can navigate the timeline by clicking the arrows on the screen. Clicking on an item’s title will show the full catalogue record for that item. Mapping Museum Works with Lightbox: Museum works in a Lightbox collection can also be viewed on an interactive world map if the items are associated with a geographical location (i.e. if the location of the artefact's creation is known). The mapping function can be accessed within a Lightbox collection by clicking the globe icon at the top right corner of the screen. Clicking on a map's red location markers will display a link to the full catalogue record for that item. 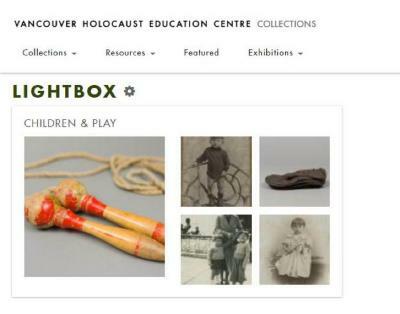 Teachers can use the tools and resources provided in the VHEC Collections website to advance the core competencies in the British Columbia curriculum. Creative & Critical Thinking: Students develop cognitive and analytical thinking skills through critically observing, questioning, analyzing and interpreting primary source materials. Students use deductive reasoning skills to draw inferences, form conclusions based on the evidence they uncover and construct knowledge by integrating information they have acquired from other sources. Communication: Students independently acquire, apply, interpret and present information using the digital technology of the VHEC Collections website. The website's online tools also promote collaboration among students through the use of shared digital media and workspaces. Personal and Social Competency: Students reflect upon personal and cultural identity and social responsibility as they discover the first-hand historical accounts revealed by the primary source materials in the VHEC Collections. 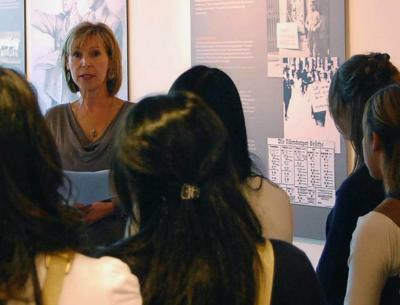 Students are encouraged to see diverse perspectives of past events when they encounter a variety of sources of historical information. Inquiry based, personalized learning and deeper learning processes: Students actively participate in the process of historical inquiry when they question, uncover evidence and construct meaning from primary sources. The website allows students to explore topics of interest to them, seek further information and direct their own learning by linking to related people, places, events and subject matters across the VHEC Collections. Digital literacy: The online tools and resources of the VHEC Collections website give students the opportunity to enhance their digital literacy skills, develop user generated content and co-construct meaning as it relates to digital and online technologies. Diverse learning styles: Primary sources in the VHEC Collections can be experienced in a variety of mediums (e.g. oral histories, three-dimensional objects, artworks, graphic representations, photographs and documents) to accommodate diverse learning styles.